Now 64 years old, Bruce Jenner used to be known around the globe as an incredible Olympian – but today he’s more closely linked to his Kardashian family. 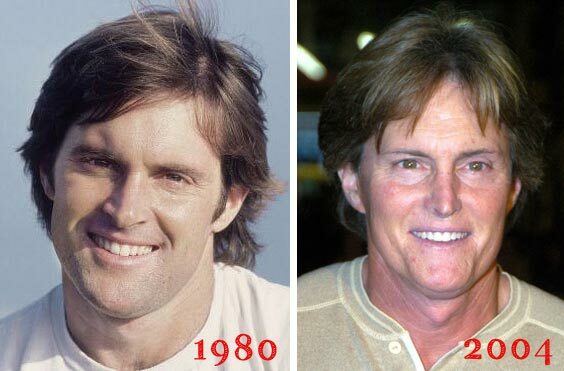 And like those Kardashians, Bruce hasn’t been shy about taking advantage of plastic surgery. 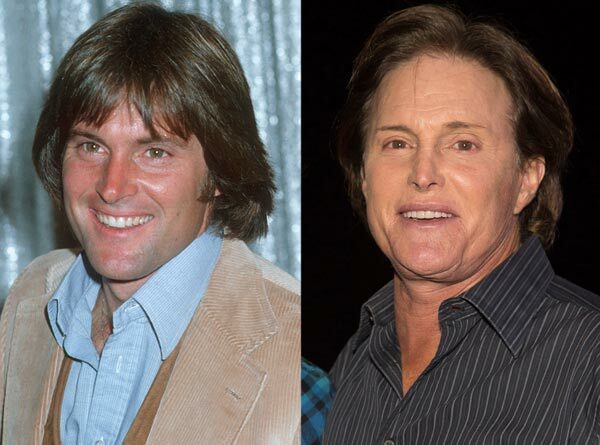 In fact, some reports suggest that Bruce Jenner plastic surgery procedures totally the dozens – which isn’t exactly crazy when you get a look at the transformation that his face has gone through in just the last 10 years. The only thing that is a bit crazy about the work that Bruce has decided to take advantage of is that it isn’t merely about “keeping Father Time at bay” any longer. 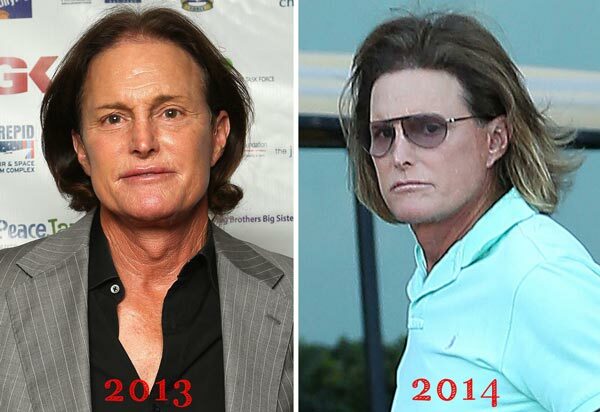 Instead, rumors about that Bruce is undergoing plastic surgery to transition from a man to a woman. It’s important to underscore that these rumors have been refuted by Bruce (and members of the Kardashian clan) almost every single time they pop up, but there’s definitely something going on with Bruce and his surgeons. Never shy about admitting that he’s gone out of the knife, Bruce has opened up multiple times about the fact that he decided to start taking advantage of facelifts and those jobs in the mid to late 1980s. He also admits that both of these earlier procedures were “botched”, and that they had a terrible effect on his overall self-esteem. This in turn contributed to more and more Bruce Jenner plastic surgery procedures in an effort to “fix the mistakes that were made” – but everything pretty much spiraled out of control from there. Between the mid-1980s and late 1990s, Bruce reports that he had at least half a dozen different procedures. These include those jobs, partial and full faceless, cheekbone reconstruction, and a handful of other smaller cosmetic procedures. After the late 1990s had cooled down, Bruce was pretty much off of the plastic surgery kick. However, in 2009 all of that changed when he decided to undergo a plastic surgery procedure for an episode of the “Keeping Up with the Kardashians” reality television program. This procedure was intended to fix the previous procedures, and by all accounts (and straight from Bruce’s mouth himself) it was a success. From there on out, Bruce has continued to undergo multiple procedures – and grow his hair out – which has only led to even more speculation about what his “endgame” may be.